Where can easy and safe rent low cost car at Obzor Airport? Obzor is small resort town situated on the Black Sea coast. It has perfect conditions for summer vacations especially for those who want more relaxing holiday in more silent resort. The whole region near Obzor has many interesting sites as well as other resorts. You can easily access the beautiful beach of Obzor by car. 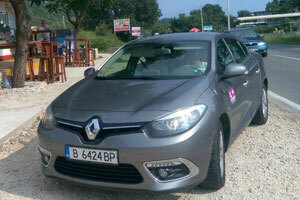 You can choose the best car for your holiday in Obzor from Low Cost Cars. The office is situated on the main road but services deliveries to your hotel in Obzor. All rental offices of Low Cost Cars can be seen here. Why choosing low cost car for hire in Obzor? Rent a car service in Obzor from Low Cost Cars makes traveling in the resorts and the area extremely easy and fast. You have easy and fast access to all other resorts by car. You can use Obzor as a starting point for your trip on the Black Sea Coast. Low Cost Cars offers direct deliveries of cars to all sea, mountain and winter resorts in Bulgaria. You can easily reach all wonderful beaches in the area. If you arrive by plane and wish to visit Obzor just pick up your rental car from some of our offices. Our office is situated in the central part of Obzor – on the main road E87 between Burgas and Varna. The convenient spot of the office makes it perfect for renting low cost vehicle. We serve deliveries of cars in Obzor and the whole area. All offices of Low Cost Cars you can find here.